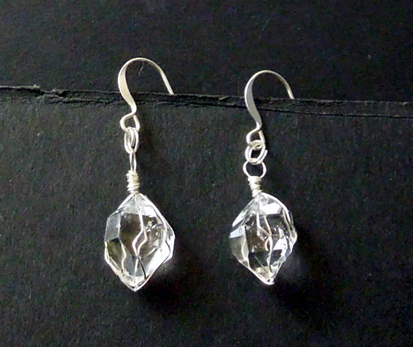 Notes: A set of Herkimer Diamond crystal dangle earrings with excellent clarity and sparkle. With an average measurement of 15x11.5x9 mm / 12+ ct. total, they are well matched in size and shape. 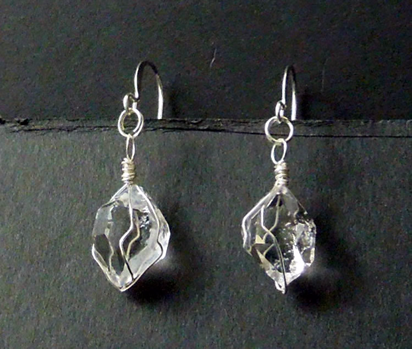 Both quartz crystals are double terminated with crisp lines and facets. 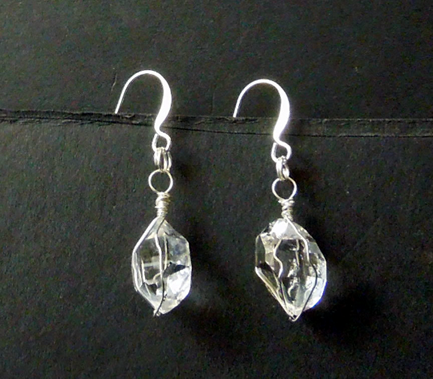 Wrapped in .999 sterling silver, they dangle from surgical steel French wire earrings. Each complete earring measures 1½".